The Gulf Petrochemicals and Chemicals Association (GPCA) has lined up top speakers for the 13th Annual GPCA Forum, to be held later this year in Dubai, UAE. The event, to be held from November 26 to 28 at the Madinat Jumeirah, will focus on the theme of ‘Executing transformation and investing in growth’. 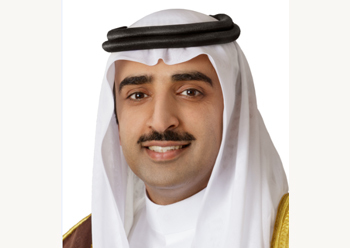 The forum will be inaugurated by Sheikh Mohammed bin Khalifa Al Khalifa, Bahrain’s Oil Minister. Yousef Al Benyan, vice chairman and CEO, Sabic and chairman, GPCA, will deliver the opening session and welcome address, and keynote speaker will be Amin Nasser, president and CEO, Saudi Aramco, reported state news agency Wam. To prepare for the next wave of global growth and the challenges of a changing business environment, senior industry leaders will converge at the 13th Annual GPCA Forum to network, exchange best practices and examine strategies, case studies and the steps required to enhance their transformational journeys, it said. A seminar on the Circular Economy and four masterclass sessions dedicated to Digitisation – opportunities and challenges from introducing new technologies; cybersecurity; women in industry; and ‘The global chemical industry in an era of protectionism’ will provide delegates with an exclusive opportunity to gain insight into the latest challenges and trends facing the industry and what is the best way to address them. He added that with change comes transformation, and it is this transformation that will determine a company’s success for many years to come. The forum will also host the 9th edition of GPCA’s Leaders of Tomorrow programme, a platform that provides university and college students engaged in science, technology, engineering and mathematics (STEM) an opportunity to learn through close interaction with industry leaders, added the report.